The Centrecorp Management Team is pleased to announce that 3381 Steeles was the recipient of The Outstanding Building of the Year Award (TOBY) in its category of 249,000 sq. 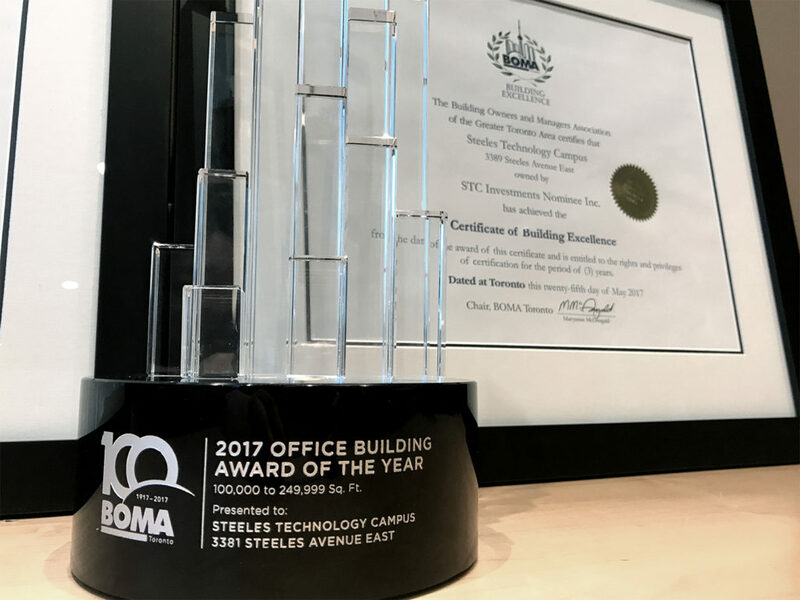 ft. and 3381 & 3389 Steeles was awarded Certificate of Excellence at the Building Owners and Managers Association (BOMA) award Gala on May 25th, 2017. We thank the Centrecorp Management Team for a job well done!